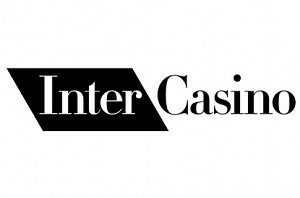 InterCasino are industry veterans, when it comes to providing online gambling environment. 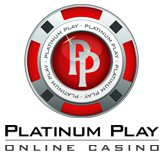 Launched back in the 1996, they just their 16th birthday and man, these years have been full of changes in the industry, but Inter Casino still continues to provide a great playing experience to all players who join. The casino and most of their games are powered by CryptoLogic, which is a software company that was launched at around the same time as the casino itself. 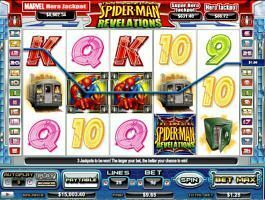 You’ll find more than 200 slot games, divided between video slots, fruit machines, 9 pay line slots, marvel jackpot slots and much more. Captain Nemo – were you thinking about Disney’s character Nemo after reading the title? Well, this slot machine isn’t about him. It’s a 20 pay-line video slot created after the treasure hunter Captain Nemo and featuring symbols alike map, captain himself, compasses and of course the treasure! There’s also a progressive jackpot up for grabs. Monte Cristo – one of the most popular slot machines at InterCasino. It’s created after the legend of the Count of Monte Cristo and offers 2 bonus games as well as a free spins feature. Batman – a comic themed 50 pay line slot machine, which visualizes one of the most popular characters in the world. There’s an innovative Batman re-spin feature up for grabs, which turns one reel completely wild for 3 spins in a row. The Incredible Hulk – a 25 pay-line Marvel Slot that has been created after the green superhero. Trigger the Hulk Smash bonus by getting at least 3 radiation symbols anywhere on the reels as well as win one of the 3 progressive jackpots. Fire Flies – a new addition to the games of CryptoLogics portfolio. 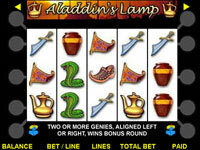 This is a very good looking (graphics wise) 25 pay line slot that is created after backwoods adventure theme. Win up to 7 free spins and wait for the expanding wilds to appear on reels 2,3 and 5.